With so much information available to our students, asking questions about what they find and read is becoming increasingly important. Recently, I've been looking deeper into what makes a good question. 3. contain an emotive force or an intellectual bite such as, "When are laws fair?" 4. are succinct, containing only a handful of words, yet demand a lot. To generate good guiding questions, look at the six queries that newspapers answer: who, what, when, where, how and why. Teachers often focus on the what and how of something; questions that are not easily answered and give educators and students room to explore. You can find Traver's full article here. I like to use literature to introduce concepts and make connections with students. 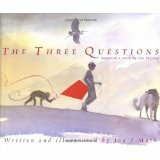 With my grade ones, I used the book The Three Questions by Jon Muth; based on a short story by Leo Tolstoy, published in 1903. In this book, the main character, Nikolai, asks his animal friends to help him answer three important questions: "When is the best time to do things?" "Who is the most important?" and "What is the right thing to do?" A wise old turtle, Leo, helps answer the boy's questions through the boy's quick actions during a storm. The most important time is now, the most important one is the one you are with, and the most important thing is to do good for the one who is standing beside you. This book promotes asking deeper, good questions with your students. questions. 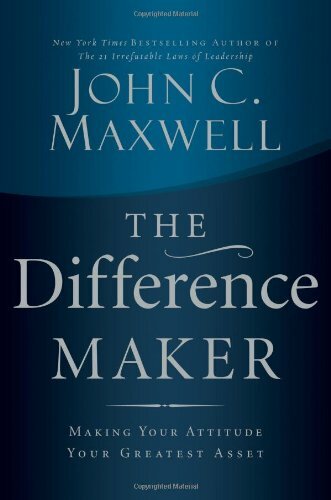 John Maxwell, world reknown author of 70 Leadership and Teamwork books, writes in his book The Difference Maker: “Your attitude colors every aspect of your life. It is like the mind’s paintbrush.” He goes on to state many things are out of our control, but that "My attitude about the areas that I do control will be the difference maker. In other words, the greatest difference my “difference maker” can make is within me, not others." Attitude determines how we approach everyday and every situation, how we respond and also to what kinds of questions we may ask as we respond. "It's not what happens to me but what happens in me that matters most." Yesterday, I read a blog posting by educator Katherine Sokolowski on The Power of a Smile. Here she writes of consciously choosing to be postive and watching her attitude as it effects those around her. Students (and others) can tell much about us by our outlook or demeanor. You can find Katherine on Twitter here @katsok. Enjoy her blog posting where she reflects on the Power of a Smile. How do you encourage your students to ask good questions?